Allowing customers to see beyond the product on the shelf to the faces, places, and processes that go into putting those products there are a great way for businesses to connect with the end users of their goods. 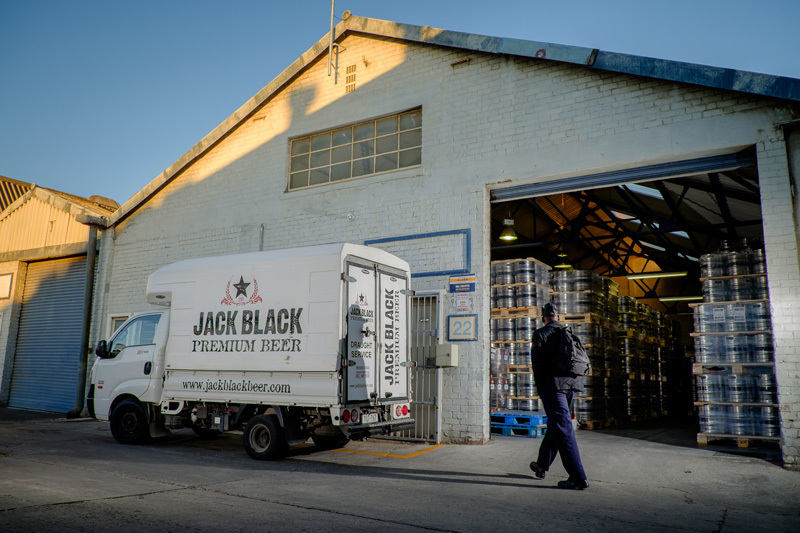 Recently Jack Black’s Brewing co. were in need of some images for their promotional materials, and so, fortunately, I got the call! In the first of two shoots, I documented the goings on in their distribution warehouse on a typical weekday morning. Ever wonder why Jack Black’s beer is one of the most widely available of the local craft brews? It’s at least partly due to how quickly and efficiently these guys can sort, pack, load and send large amounts of amber nectar from the warehouse. The delivery staff went from sitting on crates drinking their morning coffee, to having three trucks loaded and out the door in about 40 minutes flat. And they were taking it easy so that I’d have “enough” time to shoot. What an awesome bunch of guys too, not a minute went by without a wisecrack or two. Next up: Friday afternoon drinks!